Time for a bit of good ol’ classic acoustic ecology: honoring local soundmarks by way of eclectic composition! In Tyne and Wear, one of England’s lingering foghorns became the centerpiece of a composition that also included a brass band on the lighthouse and ship horns in the harbor. The Burlington Free Press ran an article this week that is perhaps the most comprehensive look at the emerging noise issues around Vermont’s two largest wind farms, in Sheffield and Lowell/Albany. The problems at the Sheffield Wind project, which began operations in October 2011, are interesting, in that some residents live within earshot of I-91, yet have found that the sounds made by turbines 3/4 mile away are far harder to live with. (I, too, live about a mile from an interstate, hearing noise levels that are roughly the same as those I’d hear from turbines at that distance.) A retired Air Force pilot says that the turbines remind him of a jet at 10,000 feet that never goes away. Both projects must comply with state regulations that call for maximum sound levels of 45dB outside homes, and 30dB inside homes; quarterly monitoring at four locations is required as well. The first year of monitoring at the Sheffield Wind project affirmed that it’s operating in compliance, though at least one monitoring location was close enough to the interstate that some have questioned its usefulness. The article highlights some of the challenges facing neighbors, as well as state regulators and wind farm operators. For starters, we may again be seeing that turbine sounds of 40-45dB can be more bothersome than has been assumed, especially for people who, like one couple in the article, moved to the area “for its beauty and peace.” Also, short-term sound monitoring may not occur at the times when the noise is most troublesome; the noise issues may not be solely related to wind speed and direction, but could also be affected by the level of inflow turbulence or other atmospheric conditions. 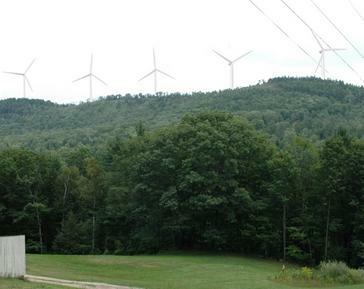 The article does not clarify how many complaints have been received around the Sheffield Wind project, but notes that 28 households have lodged formal complaints since the turbines on Lowell Mountain began operations in November. A new research study of stress hormones in Puget Sound orcas shows that the whales actually were under less stress at times of higher vessel traffic – at least when their key food source, chinook salmon, was abundant. Only when salmon were scarce did boat noise seem to increase stress levels. Ken Balcomb of the Center for Whale Research said he wasn’t surprised by this, noting that there were far more orcas years ago when there were also more fishing boats, with the whales not seeming to mind the boats’ presence. 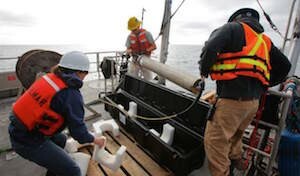 Sam Wasser, director of University of Washington’s Department of Biology Center for Conservation Biology, said the study points to the importance of putting fish first as managers look for the priority management steps, amid reducing toxins and pollution, vessel noise and improving food supply, for orca recovery. “If you are a manager, you really want to know what are the relative importance of those, and how do they interact, and our study did that; it found that fish are the most important,” Wasser said. Ed. note: While these results confirm what most have long known, that declining salmon runs are the major factor in recent orca declines, it’s also worth noting that during times when salmon are less abundant, boat noise did increase stress levels in the orcas. While perhaps a secondary factor, boat noise remains a chronic feature of orca life, with measurable changes in stress at times when food is not abundant. This supports the initiatives underway in recent years to try to moderately reduce noise and other impacts by requiring whale watching boats to stay farther from whales. Earlier research has also suggested that foraging for salmon in boat noise may cost whales more energy than foraging in quieter conditions. Check out the Renewable Energy World front page today, and you’ll find a commentary I submitted over the weekend featured there. If it fades off the front page, here’s the direct link. 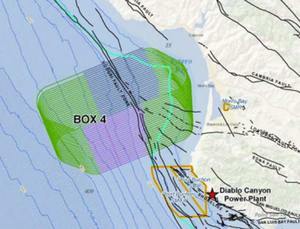 New oil platform in Sakhalin grey whale feeding grounds? After years of “collaborative” work with environmental groups, the Sakhalin Energy Investment Company continues to push aggressive development plans in an oil and gas field off the coast of Sakhalin Island, where the last 130 critically endangered Northern Pacific grey whales come to feed each summer and fall. This week, Sakhalin Energy announced plans to build a third oil platform in the area, even though it had previously decided two were enough, thanks to advances in drilling technology that allows one platform to serve several wells. Previously, Sakhalin Energy has cooperated with WWF and International Union for the Conservation of Nature (IUCN), which has organized a panel of scientists to make recommendations about how the oil development can minimize impacts on the whales. BP and Exxon, by contrast, have proceeded with development activities without consulting the panel. See previous AEI News coverage of Sakhalin oil and gas development. A few months back, I was contacted by an editor at National Geographic, asking me to fact-check a short piece they were preparing on ocean noise (the author, who I’d talked to a few times, had recommended me). The piece came out this week in print and online, and I’m pleased to say that my input turned out to be important: besides affirming a couple of factual points they were concerned about, I caught what would have been a major mistake in an editor’s attempt to shorten a section of the original text, which had seriously mangled the science behind one of the key the findings in the research they are addressing. Just another day in office here at AEI, where I’m able to respond to questions and queries from anyone needing some clarification, whether an international publication, a county commissioner trying to understand wind farms sound, or a curious individual wondering how to pursue an interest in acoustic ecology…. Read the National Geographic piece, with typically great graphics, here. The Florida-Georgia coast is the only known calving ground for right whales, which gather each winter after traveling from New England and Canada. From a total population of about 450, more than 100 whales migrated to the area this winter. Environmental advocates, who have warned that ship traffic and sonar use at the training range could imperil the whales, said the discovery reinforces their concerns. “The Navy needs to go back to square one and reconsider,” said Sharon Young, marine issues field director for the Humane Society of the United States. 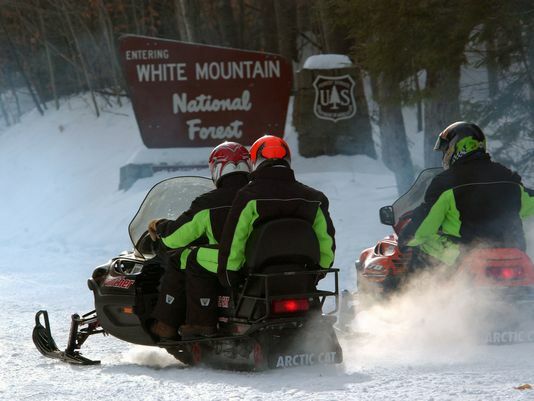 The group is one of several that sued in January to challenge the training range plans. Although whales are usually reported in shallow waters closer to shore, the Navy’s range project manager said some were expected to be in and around the training area. “The fact that there’s a birth was something a little unexpected. We all agree it’s a good thing,” said Jene Nissen, the project manager. He said the discovery would become part of a body of research that will factor into decisions about use of the range that is planned about 50 nautical miles – 58 miles – east of Jacksonville. As outlined in preliminary plans issued last year, the Navy has agreed to slow its ships during the months that right whales are in the region, in order to minimize the risk of ship strikes, but so far it has rebuffed options that include setting the annual sonar training schedule so as to also avoid those months. 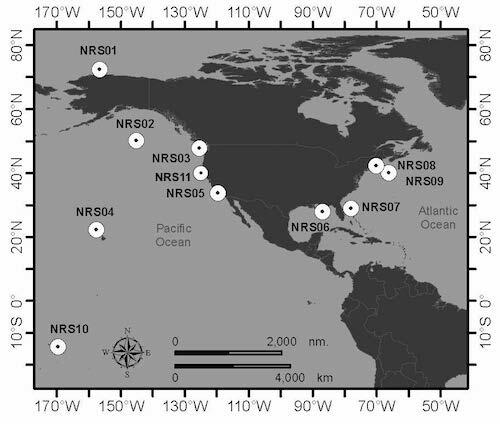 Up to 480 anti-submarine mid-frequency active sonar exercises are planned per year, including 100 ship-based events (2/week on average, lasting 3-4 hours each). See these earlier posts for more details. Hawaii humpback sanctuary management review beginning now: will noise be on the table? The Hawaiian Islands Humback Whale National Marine Sanctuary is beginning a review of its management plan, and ocean noise activists are pushing for sanctuary managers to bring noise issues to the forefront. 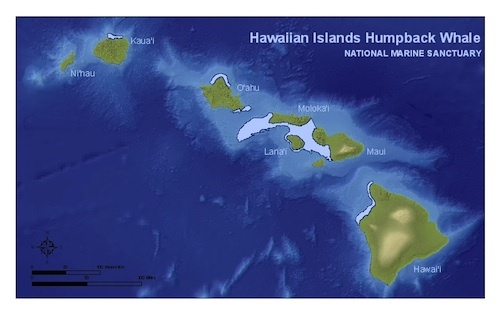 The Sanctuary was established in 1992 to help protect the humpback whale winter nursery grounds in shallow waters around several of the islands. Beginning this month, and continuing through the spring, Sanctuary managers are hosting a series of pre-scoping “working group” meetings on several islands, which are designed to gather input from various interest groups, especially those who have not been involved in Sanctuary planning in the past. Some time this summer, a formal scoping period is expected to initiate the process of assessing and likely revising the current management plan. See the Sanctuary Management Plan Newsletter for more on this process. A topic that’s been a recurring tangent for AEI over the years has been excessive noise in hospitals; it’s always surprised us that places theoretically designed for healing and recuperation would be so full of noisy machines and reverberant hallways. Well, that is about to change: New design and construction guidelines from the Facilities Guidelines Institute, published in conjunction with the American Society for Healthcare Engineering (ASHE) of the American Hospital Association (AHA), include new standards for quieting hospitals, and are fast being adopted by state building codes. The new guidelines are the culmination of over five years of collaborative work by researchers, architects, engineers, and acoustical consultants to solve the problems of speech privacy and excessive noise in hospitals; the guidelines apply to new construction, so may not change the experience in existing facilities. Read all about it at the excellent Acoustics by Design blog! NOAA has proposed a doubling of the limit governing how close whalewatching boats may approach endangered orcas in the waters of Puget sound. Current voluntary guidelines ask boats to remain at least 100 yards from the endangered killer whales, while the proposed new mandatory limit would be 200 yards in most areas, with a half-mile wide “no go” zone in one area heavily used by orcas. The Seattle Post-Intelligencer notes that orcas depend on their sonar to navigate and find food – chiefly salmon. Underwater noise from vessel that are too close interferes with that sonar. “Vessel noise is going to decrease their ability to seek prey,” said Joe Gaydos, regional director of the SeaDoc Society in the San Juan Islands. “This is the right thing to do at the right time. … I think (the proposed rules) are tenable. I think people will support them. I think they are good for the whales,” Gaydos said. The Bellingham Times spoke toThe owner of one of the longest-operating whale watching outfits responded to the proposal with relative acceptance. “They’re not horrible, they’re not great,” said Drew Schmidt, owner of Victoria San Juan Cruises, “They’re not going to put us out of business.” While Schmidt said he believes whale watch operators are being unfairly singled out, noting that toxins and limited salmon are likely damaging whales more than boat noise, he also observed that whales are attracting a lot more attention today than in years past. Twenty years ago, Schmidt said, he was one of three whale cruise operators. Now there are about 30, with about 50 vessels. The rules include exceptions for working commercial fishery vessels, cargo ships in shipping lanes, residents going to shoreline homes, and research vessels. Public comments on the new rules are being accepted through October 27, with the hope that they will go into effect next year. UPDATE: NOAA extended the comment period through Jan 15, and has announced that analysis of the comments will take too long for the new rules to go into effect for the summer 2010 season. Salmon fishermen have objected to the “no go” zone proposed for the west side of San Juan Island, and tour operators also are urging reconsideration of the 200 yard limit and no go zone.